Aqua Link is committed only to selling the finest pond and lake management products and equipment. All aquatic products and equipment that we sell have been field tested by our highly qualified staff of professional pond and lake managers. Pond and lake management products include beneficial bacteria additives, pond dyes, algaecides to control or kill algae, and aquatic herbicides to control or kill nuisance aquatic plants. Pond and lake equipment includes water fountains, pond aerators, and pond and lake diffused-air aeration systems (air bubbler type aeration systems). Aqua Link is staffed with pond and lake aeration experts. 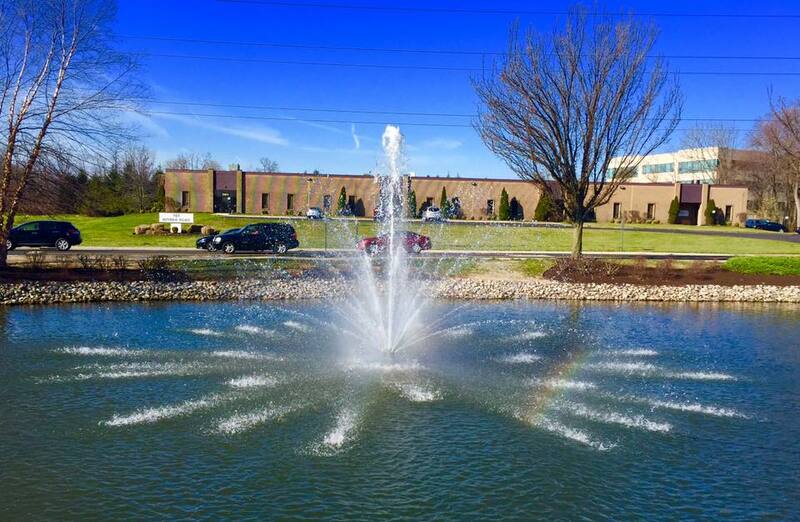 We serve as Master Distributors and Authorized Service Centers for the top three brands of water fountain companies: AquaMaster fountains, Kasco fountains, and AirMax fountains. We are also a Master Distributor of Keeton Solaer solar aeration systems. In addition, we manufacture our own line of diffused air aeration systems (bubblers) under the Hydro Logic AirLift Aeration name (www.hydrologicproducts.com) for ponds and lakes. Aqua Link also sells a wide variety of aquatic products for the Do-It-Yourselfers (DIYs). We carry many different brands of aquatic pesticides for algae and aquatic weed control, pond dyes, and concentrated bacteria additives. Our own brands of pond dyes (AquaSplash Blue and AquaSplash Black) and concentrated bacteria additives (MicroLife Clear and MicroLife Clear Max) are professional-grade products that are used by many professional pond and lake managers. Aqua Link can assist you in properly managing your pond or lake - no matter what size! We have clients with small ponds (less than 1/10th acre) and others with huge reservoirs (exceeding thousands of acres). To get things started , just give us a call for your free consultation by one of our Professional Pond & Lake Managers! Thank you for visiting us at Aqua Link's Pond & Lake Supply Store!